Light breakfast of a fresh malasada (Portugese doughnut), and a bottle of water from world- famous Leonard;s Bakery. Transportation and admission included to the USS Missouri. 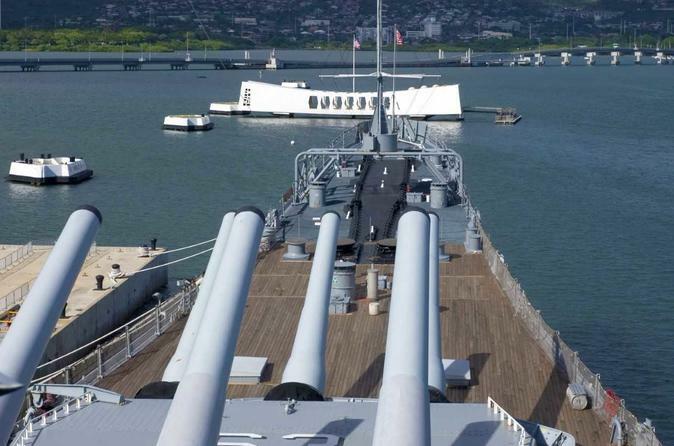 See the guns of the Mighty Mo' and walk the deck where the Japanese surrendered, officially ending the war! On your return to Waikiki you will see some local culture and enjoy a scenic tour of Historic Honolulu.